Moringa is a fast growing, drought resistant tree that is native to the sub-Himalayan areas of India, Pakistan, Bangladesh, and Afghanistan. It is also grown in the tropics. The leaves, bark, flowers, fruit, seeds, and root are used to make medicine. 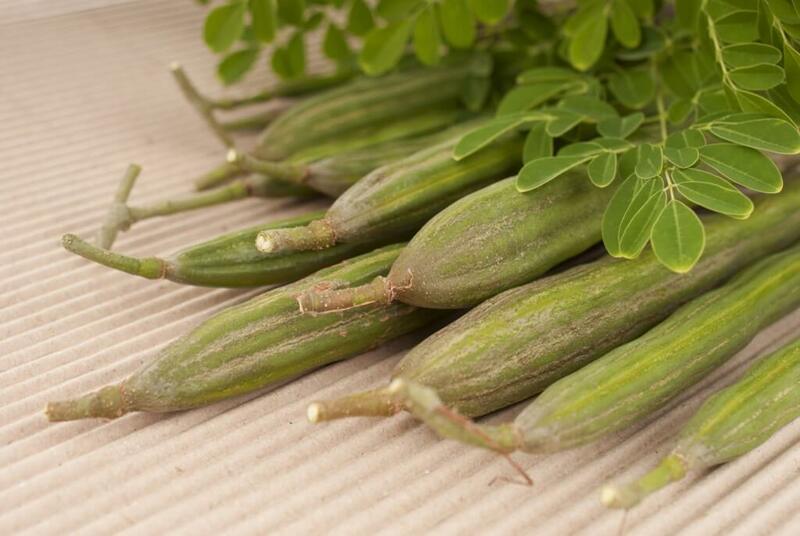 The leaves and young seed pods are especially nutritious being high in vitamins and minerals. The entire tree can be utilized for various uses and is known as the Tree of Life throughout many parts of the world. Plant in a hot sunny location protected from frost or consistently cold temperatures. These trees thrive in high humidity and heat and are extremely vigorous when grown in this type of environment.